Ministers have rejected a plea from MPs to ditch a recent increase in divorce petition fees, suggesting that the government will continue with plans to hit litigants for the costs of running the courts. The Ministry of Justice said that sufficient assistance was available “to those who qualify” under the help with fees scheme and therefore the divorce filing fee of £550, introduced last March, would stand. “The fee for a divorce is reasonable when considered against the objectives,” said the ministry in a response to recommendations from the House of Commons justice committee that it be scrapped. The MoJ said it was aiming to raise an estimated £12 million annually in additional fee income “as a contribution to the savings required to make sure that the courts and tribunals are properly funded, and that access to justice is protected”. Ministers also said that they would not row back on proposals to “achieve full cost recovery in the Immigration and Asylum Chambers”. Lawyers estimate that tribunal fees in immigration cases will rise fivefold. The ministry said that it was still considering recommendations regarding increased fees in the employment tribunal and for money claims. Legal profession leaders reacted angrily to the ministry’s response. Robert Bourns, president of the Law Society, which represents solicitors in England and Wales, said: “Punitive courts and tribunals fee increases are denying justice to citizens and businesses. 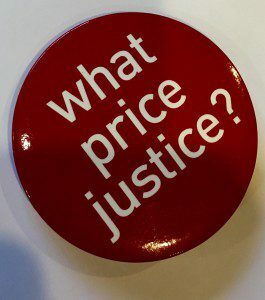 The government must heed the views of experts from the legal profession and beyond and urgently assess the impact of fee increases on access to justice.